The First edition of Ghana DJ Awards brings to you Encore, an epic never-seen-before DJ-and-a-Band concert. With Encore, patrons will see DJs play back songs and challenge the live band to perform them back-to-back in front of an audience. The first edition of the event features award-winning lady DJ Nyce and the Premium Band. DJ Nyce will perform in this battle game with a live band. The event comes off today 30th March, 2019 at exactly 8pm. The event will take place at Afrik Gardens located at 10th Junction along the Dansoman-Sakaman Highway. 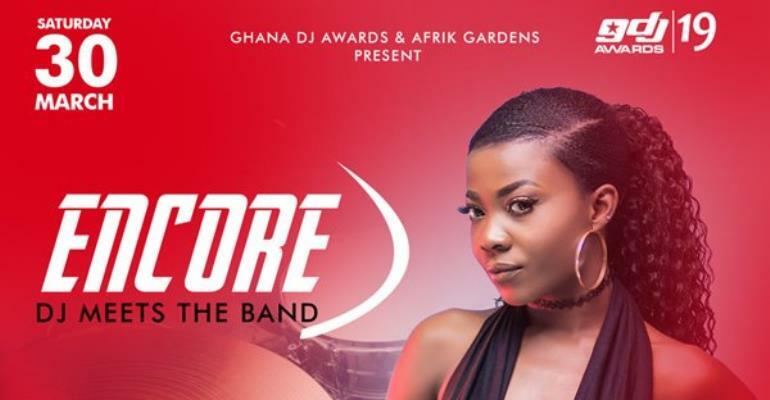 Encore was created by the brains behind Ghana DJ Awards and Hitz FM host and DJ Merqury Quaye.